The World Health Organization still recommends maintaining high controls on possible new outbreaks, but currently Liberia is better prepared to identify, isolate and treat new cases of Ebola. 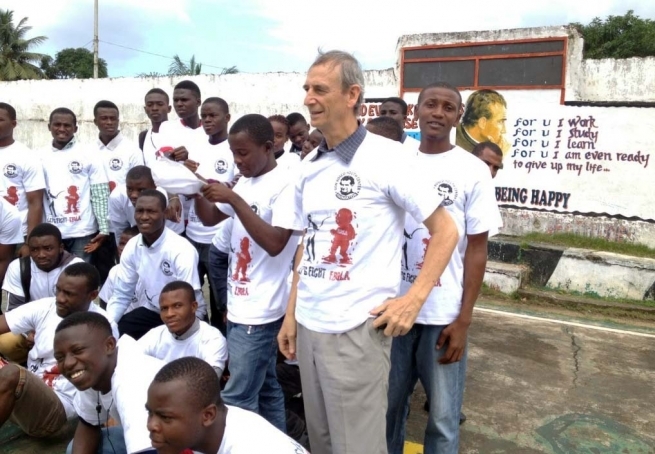 According to Fr Nicola Ciarapica SDB, Rector of the Don Bosco Centre in Matadi, "Social relations, trade, and politics are returning to normal ... And yet you can notice more and more the gap between the people who are well-off and those who are most in need, most lacking in education, health, and work." According to the Liberian Bishops the fundamental problem of the country is the lack of education: what are the consequences? Almost two thirds of children between 5 and 10 years of age do not attend primary school. Liberia is emerging from 14 years of war and two years of Ebola. After every crisis school provides children and teenagers with the necessary stability to cope with the trauma. Where there is no school there is less protection and they themselves are more likely to suffer abuse and exploitation. The Church renews its commitment to provide 'quality education' for the population. We Salesians we have two schools. We are planning to take on another school in the north of the country and to improve the existing professional courses. With the help of benefactors we have assisted more than 250 families in 2015 and more than 150 families the following year, to ensure that their children had access to education and were not left on the streets. We need that collaboration to continue. The bishops also asked that "the most vulnerable and needy in society" not be forgotten. The Sisters of Mother Teresa are present in our parish. Besides helping the poorest they also offer accommodation to people with tuberculosis, single mothers, to those who are HIV positive, and to undernourished children. With the help of the Salesian Cooperators we have raised funds and dug three wells for drinking water for groups of families living in the swampy area around us. Evangelization, health, education, social welfare, justice, peace and the mass media are the themes that the Catholic Church discussed in its recent Plenary Assembly." The Church chooses 'closeness and compassion' to families in difficult situations and takes mercy as a pastoral decision, but also warns against any attack on marriage and the family as an attack on socio-political, cultural and moral stability.